"seat covers are peeling off"
✅ Trip Verified | This is quite an old aircraft, and should probably be relegated to the scrap yard soon. The seat covers are peeling off, held by ill-fitting velcro that often pulls away. The seats are so narrow that my seat mate and I constantly made incidental contact. The carpet under the seat was threadbare and wrinkled, and the storage room was inadequate for even a small backpack. 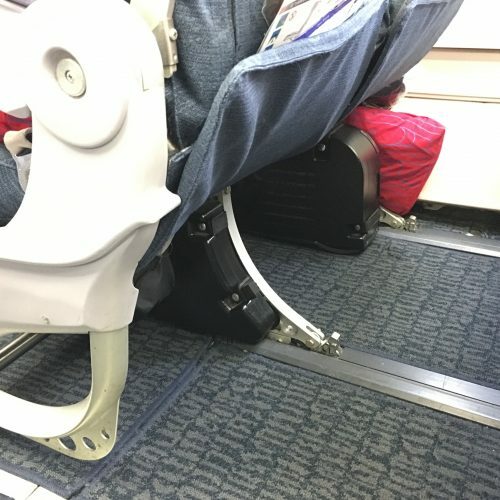 The seat in front of me could not return fully upright, and all the flight attendants tried to get that passenger to raise it for landing, even though he had explained it was impossible to each of them. But, that meant his seat back was reclined, even while I was trying to eat. I tried to raise my headrest, but it was stuck, so I stood up and pushed harder. Then, the headrest flew off the rails and into the row behind me, striking a man and woman sitting there. Mortified, I had to retrieve it and apologise, then reattach the wayward piece. ✅ Trip Verified | Seats did not have display properly. My screen was not working and remained same for entire flight. There was not much collection of movies or TV shows. Seats were not very comfortable. Foot rest was loose. Flight did not have wifi available and there was no power outlet provided to charge your cellphones. Not Verified | I do not recommend Air China for any flights. Flying Air China means you fly through China and are subjected to their "security" which adds 30+ minutes to your transfer. Air China's seats are extremely close together and very uncomfortable for long flights. "good in what space is concerned"
✅ Trip Verified | To my surprise, although the A330 was old, the seat room was better than many European counterparts, in economy. I did fly 4 times with them in long haul, I felt very good in what space is concerned, even one in a 2 configuration when somebody seats next to you. They recline OK and I wouldn't hesitate to use Air China for long haul economy again. 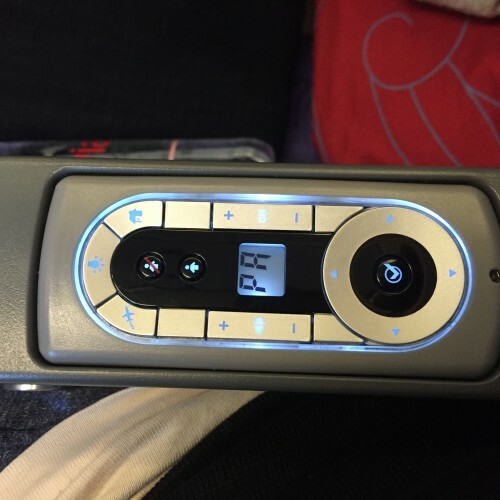 ✅ Verified Review | The Air China A330-200 seats were bad. 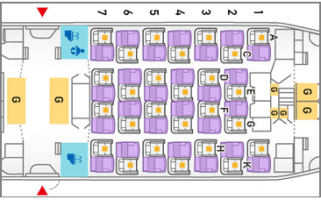 The two central seats and the two window seats have odd black boxes that take up all the space for your feet under the seats. I have no idea what these were for - possibly to do with the appalling in-flight entertainment system. Other problems I saw: a seat cushion coming away in a passenger's hands so you could see all the metal below; in-flight entertainment controllers becoming stuck in their holders so stewardesses had to pry them out with a knife (two examples) and one seat with a huge brown stain all over it. 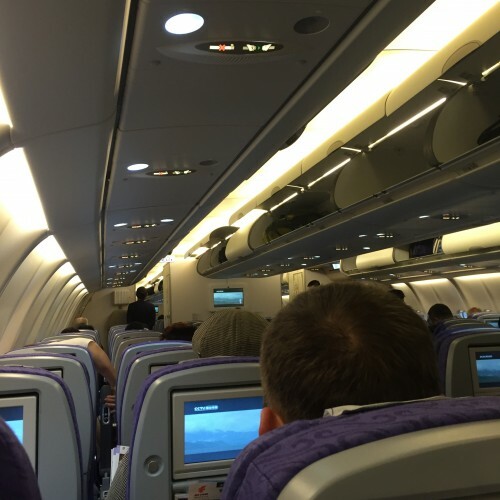 "seats and space were better"
Business Bangkok-Beijing-LAX. Layover in Beijing 5 hours. A voucher for a private room, wityh shower, issued before departure because of the long layover, was useless as upon arrival in Beijing all rooms were full. The waiting area was depressing and filthy. Flying Business we went to the Business Lounge. The recliners in the TV section were comfortable but again dirty. Out of a dozens of Magazines lining the wall there was ONE thin, weekend edition of the NYT in English. The staff was extremely unfriendly, unhelpful and rude. This Airline caters entirely to the Chinese Market. 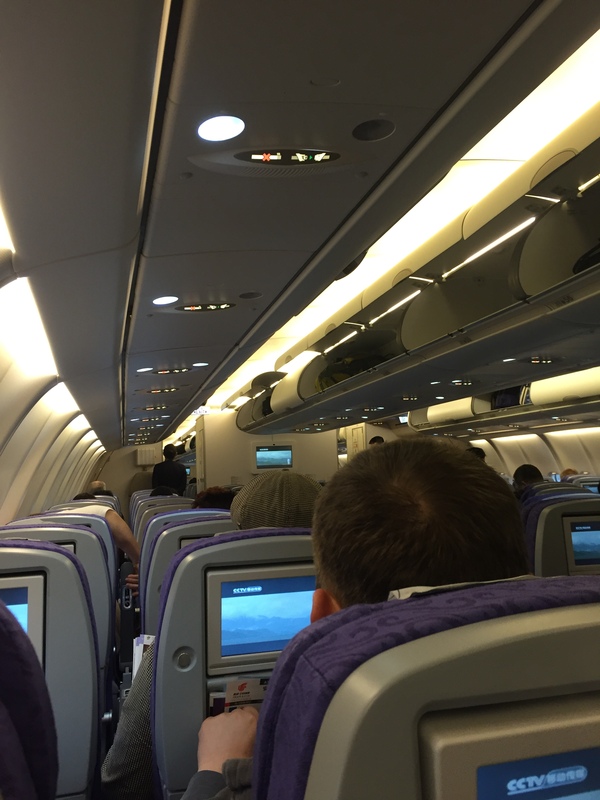 If you spend extra money for Business Class, do yourself the favor and go for another Airline. The money we saved was not worth the aggravation. PS The Business Class seats and space were better though than many other Airlines. The seats were good enough on our BUD-PEK flight, but on our longer (12h approx.) PEK-SYD fliught, it was terrible: no legroom, no room at all. Smaller than any cheap, short distance airlines' planes. It was a new plane, but the size of the legroom and room terrible. Another problem was that the remote control was in the arm of the seat, so when I put down my elbow, I sometimes accidentally pushed buttons. So it was not too comfortable. Far too small, no space at all, no leg room, seat does not recline enough. Too close to partner and people walking past banging Into you. No room for your dinner or drink. No room for Trolley and when Trolley is coming along Air hostesses very rude, so basically if you required the toilet you would not stand a chance of getting out until they have totally disappeared. Horrible flight. The Boeing 737 seemed a bit tired and no IFE. Food was minimal on PEK-HRB, a bit better on HRB-PEK. On the flight PER-HRB I sat in seat 13L that does not have any window. Seat 33A on the flight HRB-PEK was better. Seats are not very comfortable, but it is only a two hours flight. A reasonable 3-Star airline. "very good experience seat wise"
Brand new plane and emergency exit row seat gave a very good experience seat wise. All other seats were very much standard fair for a short haul configured modern plane.